We know this article is more than a year late and the device is currently discontinued. But there is something behind the 1020’s 41 MP camera that needs to be mentioned about. If you have ever wondered how it works, then you might want to read this. Here is a quick wind up of the overall specs. It has a gorgeous a 720p AMOLED display with the Nokia PureMotion HD+ signature and a dated Qualcomm Snapdragon Dual Krait core clocked in at 1.5ghz paired to an Adreno 225 GPU. It comes with a decent 32 GB of internal storage and unfortunately it does not have an expandable option. The polycarbonate body with its matte finish is amazing to touch and hold. The chance of the device slipping from your hands is marginally high, but you shouldn’t be worrying much because this device is built like a tank. 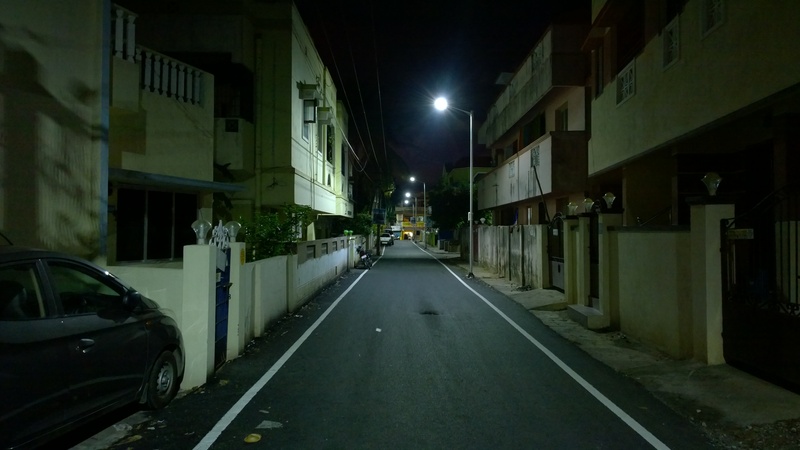 The camera on the Lumia 1020 is its best feature and is undoubtedly the primitive reason why the phone is admired for. The 1020 has a large 1/1.5 inch sensor, which is more than 4 times larger when compared to most of the Android flagship and all of the Apple flagships. It also has a multiple proportion sensor, which means when you switch to 16:9, you are actually shooting wide angle instead of just cropping a 4:3 image. Instead of losing a staggering 25 percentage of resolution, you just lose 11 percentage. At its widest angle the image is 25mm, which is amazing for a mobile device. 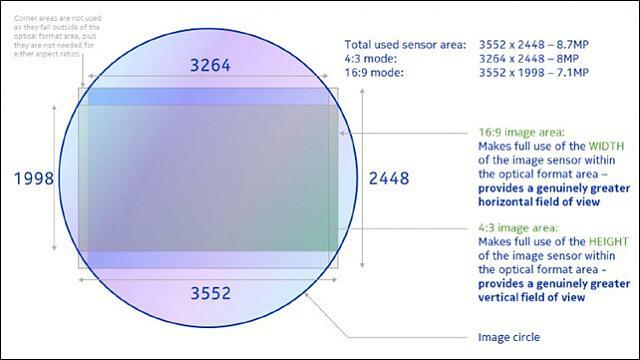 The sensor has a pixel count of 41 million pixels, out of which only 38 is the maximum usable image area resulting in 38 mega pixel shots. 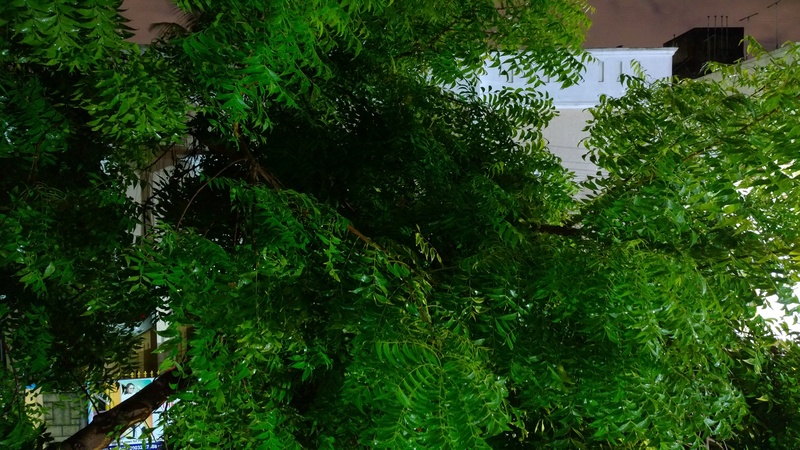 Of course, the number of pixels do not actually translate to better image quality, there are a lot of factors involved such as the Aperture, the type of lens used, the no. of lens used, the sensor size, the sensor type and most importantly the pixel size. The good news is that Nokia has you covered here.Not only are there 38 million pixels, each pixel is approximately 1.12 μm in size, which is the same size as a Galaxy S4’s individual pixels. The reason is because the Nokia Lumia 1020 houses a significantly larger 1/1.5 inch sensor, while the GS4 and the iPhone use a smaller 1/3 inch sensors. The main trick up Nokia’s sleeve is the ability to over-sample these shots into 5 megapixel (which Nokia calls Super pixel and we agree) ultra pure shots. The logic is that the Processor analyses the 38MP image and merges approximately 7 pixels into the one clean super pixel with excellent details and less noise. We would highly recommend this mode for night shots, which make even ISO 800 manageable and relatively detailed. 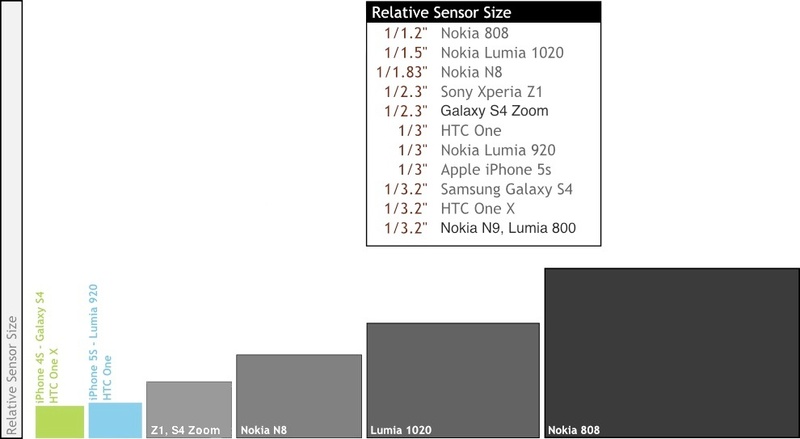 Comparision of different mobile sensor sizes. The aperture is a wide f/2.2 coupled with a six lens element system made of high quality Carl Zeiss Optics. The external camera lens is made out of Gorilla Glass 3 to ensure scratch resistance. It is an amazing feat in itself that Nokia has managed to engineer such a big camera unit into a body that is relatively slim and compact. 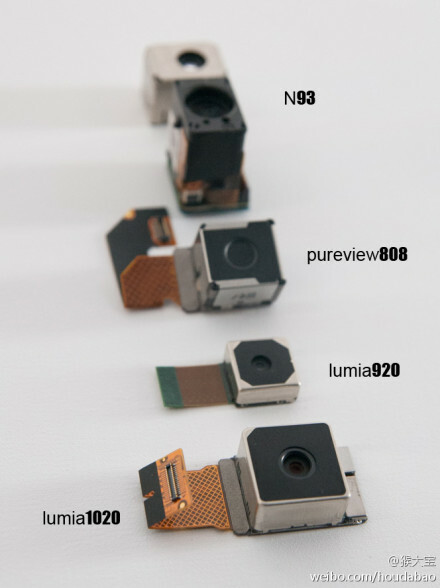 A comparision of different sized sensors, the lumia 920 representing a typical smartphone sensor such as the iphone and GS4, whereas the 1020 and 808 represent the Nokia specific huge sensors. The cherry on top of the cake is the fact that the 1020 has optical image stabilization. This is orders of magnitude better than electronic image stabilization thus allowing you to attempt shutter speeds as slow as 1/4 seconds. Below are examples of such an image shot at 1/5 seconds with an ISO rated at 400 with a resolution of 5MP (Super sampled images). The shots were handheld. The actual scene was a tad darker than it looks on the image, thanks to the OIS and the wonderful F/2.2 aperture (Click on the image for full screen and full quality) . The challenge in this image is the light source behind the image, but the 1020 manages to capture very good detailing of the subject despite the backlit scenario (Click on the image for full screen and full quality) . Another low light sample with a range of different lighting. 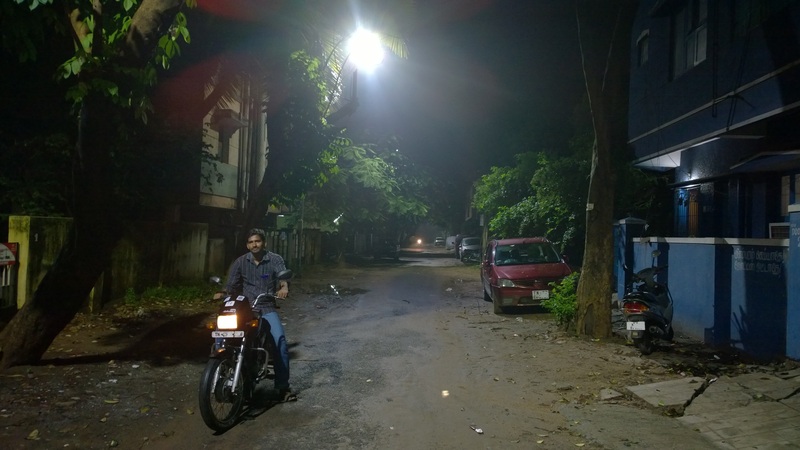 The 1020 manages to produce a good quality image albeit with a little struggle (Click on the image for full screen and full quality) . 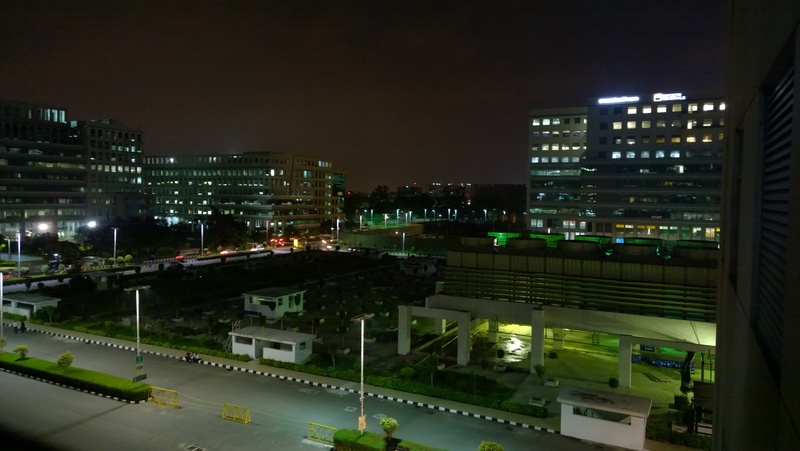 Here is a long exposure sample shot with an ISO 400 at 4 seconds (The maximum exposure time for 1020 as defined by the NOKIA imaging SDK). I cannot emphasize enough on how dark it was, it was almost impossible to make out how green the leaves were, everything was pitch black. Considering the lighting conditions, this image has come out exceptionally well. The difference between dual capture and zooming (Click on the image for full screen and full quality) .. The 38 megapixels also render the ability to losslessly zoom into a subject upto 3 times at a resolution of 5 mega pixels, although you will lose the ability to super sample. It is highly recommended to use this feature only in daylight. Below is an explanation of the feature as well as 2 comparison shots of the zoom. Lossless zoom upto 3x (Click on the image for full screen and full quality) . The original pic without any zoom (Click on the image for full screen and full quality) . There is a staggering amount of detail even when zoomed into the full range. The 1020 seriously takes mobile photography to a whole new level and crushes the majority of the mid to high end compacts barring a few exceptions (read Sony rx100). 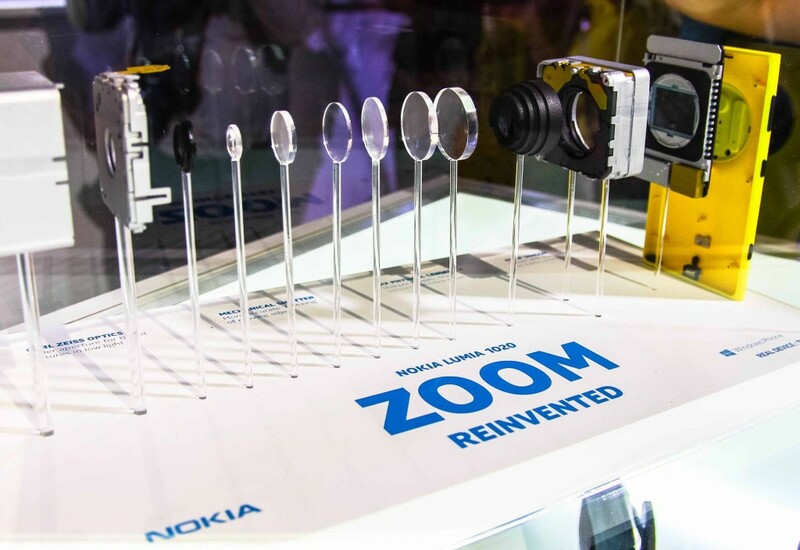 The Lumia 1020 is an excellent display of Nokia’s innovation, engineering and passion. It has been more than a year and this device still has no serious competitors and with every update it just keeps getting better. First, it was the Nokia Pro cam (now Lumia camera) which gave the users the ability to fine tune the settings right from focus to shutter speeds (Previously unfound even in medium end compacts) and the fact that the 1020 has a real mechanical shutter and a dedicated xenon flash takes it into a different league, where no other smartphone (except the Nokia 808) can compete. Now with the new updates the 1020 even has the ability to capture RAW formats, which were earlier entitled to only DSLR’s and a very few high end compacts. The camera start up time is a good 2 seconds and shot to shot times range from 2 to 3 seconds. Although this might look like long, once you have a look at the image quality it produces, you will understand that it is worth the wait. We are going to keep this device with ourselves as a benchmark and testament to how an Image quality from a top end device looks like. As much as we loved the Nokia Lumia 1020, there is no doubt that it is the best phone for shooters. Also, the fact that it is a Windows phone makes it more like a mini studio, than a smartphone in itself. Subscribe with your email id at wheelsandchips.com, like the ‘Wheels and Chips’ page on Facebook, or follow us @wheelsandchips on Twitter to be posted about more Automobile and Gadget stuff! All articles published on this site are non promotional and Wheels and Chips does not entertain any false promotional activities. Email us at [email protected] for any queries regarding automobiles or gadgets.